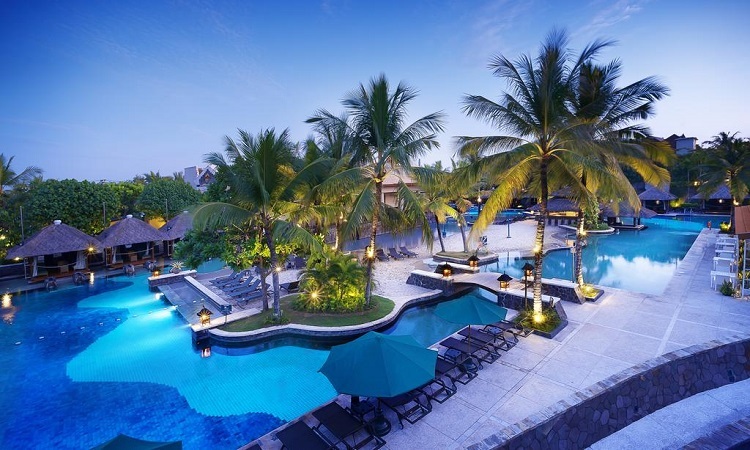 Having understood the fact that a fine accommodation choice holds the capability to make one’s honeymoon experience great, or just the opposite, couples often choose to stay at the famous and best resorts in Bali. 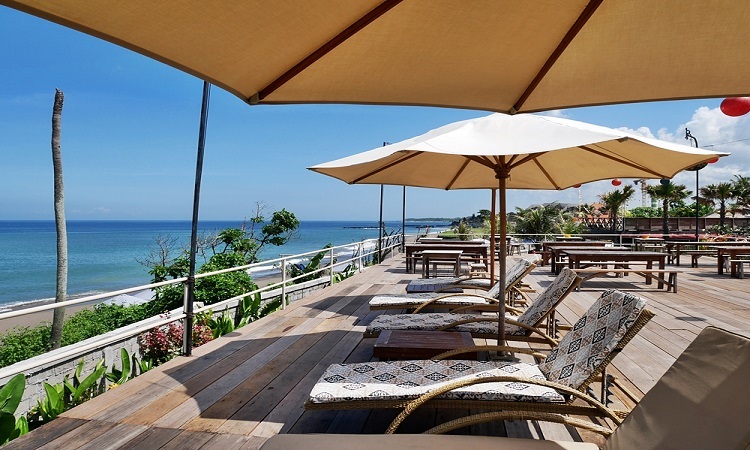 However, in this blog, we’ve collated some of the best places to stay in Bali that totally deserve your attention and are worth a stay on your honeymoon in Bali. Take a look! 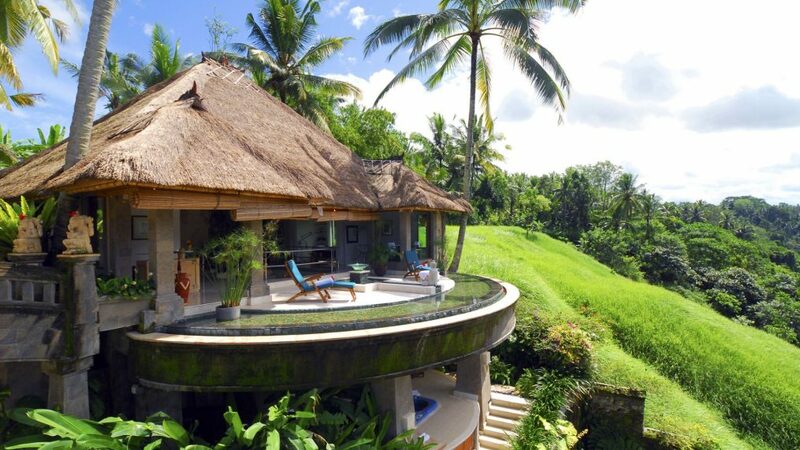 Viceroy rules over all the best places to stay in Bali like a boss. Enjoying its majestic location in the Valley of the Kings, Viceroy Ubud offers a perfect combination of ancient traditions and modern culture wrapped in ultimate luxury. With all the right kind of feels and romantic vibe, escape to the hidden treasure in the heart of Bali for a perfect honeymoon. Banyan Tree Ungasan is one resort where a couple can witness the sky romancing the ocean all the time. 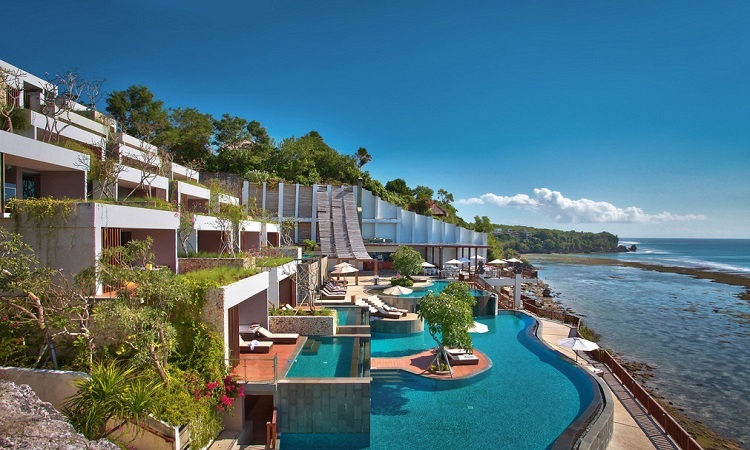 Encompassing of luxurious villas, world-class restaurants, relaxing lounge, and posh infinity pool, Banyan Tree Ungasan is indeed one of the best places to stay in Bali for honeymoon. With hues of blue in the sky and the shimmering waves of the ocean clashing with the cliff, a relaxing stay at Banyan Tree Ungasan will be worth your honeymoon trip to Bali. Owing to its romantic cliff-side location, Anantara Uluwatu Bali Resort boasts not only of being one of the best places to stay in Bali but also of offering the most romantic views of the sunset. It’s duplex penthouses are class apart that offer ample of space for a couple to relax and rejuvenate. Set on the southern coast of Bali, Anantara Uluwatu Bali Resort strikes a perfect balance between one of a kind design and natural charm. True to its name, Hotel Tugu is a true manifestation of Indonesia’s romantic history.Reflecting the soul of Indonesian art and history is its architecture, everyday spent at Hotel Tugu is like attending the banquets of kings and lavish feasts. Taste the rich heritage of Bali at Hotel Tugu like never before. 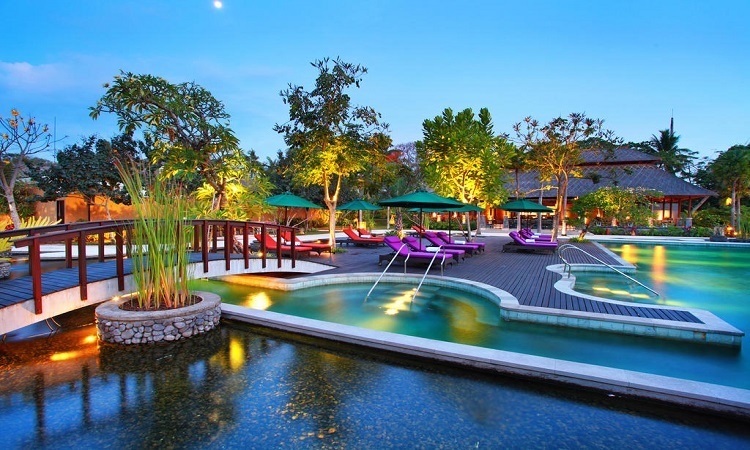 One sight is all it takes to fall in love with the romantic environs of Amarterra Villas Bali. Enjoying a central location in Nusa Dua, its easy access to the beach lets the couple enjoy surrealistic views of the sunset and the oceans. 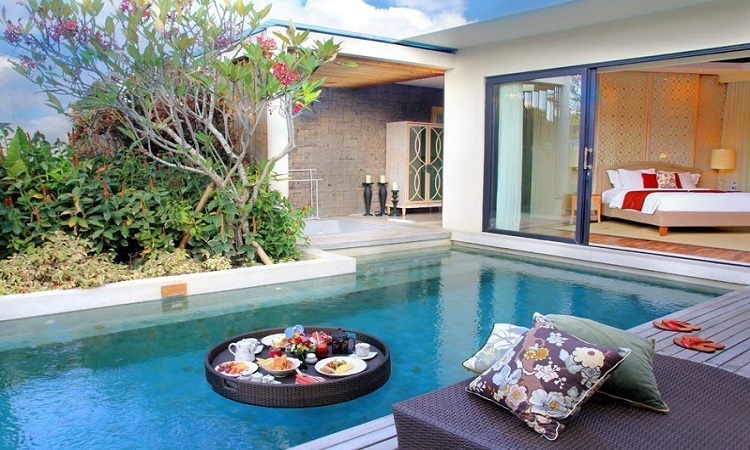 With its private pool, contemporary architecture, rattan furnishings, and artistic touch, Amarterra Villas is indeed one of the best places to stay in Bali for honeymoon. Located miles away from the city clutter, Berry Amour is one place where love and romance come alive. The romantic villas featuring unique whirlpool tubs full of flower petals, candle-lit dining areas, and a luxurious outdoor lounge offer the much needed privacy to the couples to spend quality time with each other on their honeymoon. 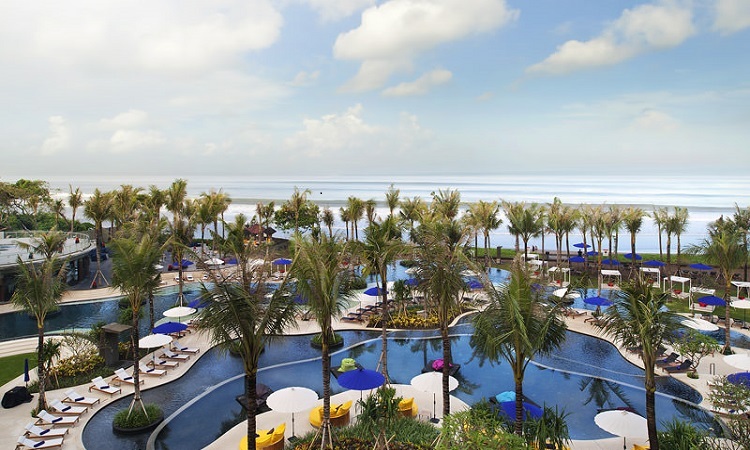 A wonderland in its own, Resort W Bali is one of the best places to stay in Bali for honeymoon which is all about chic style, sophistication, and relaxation. 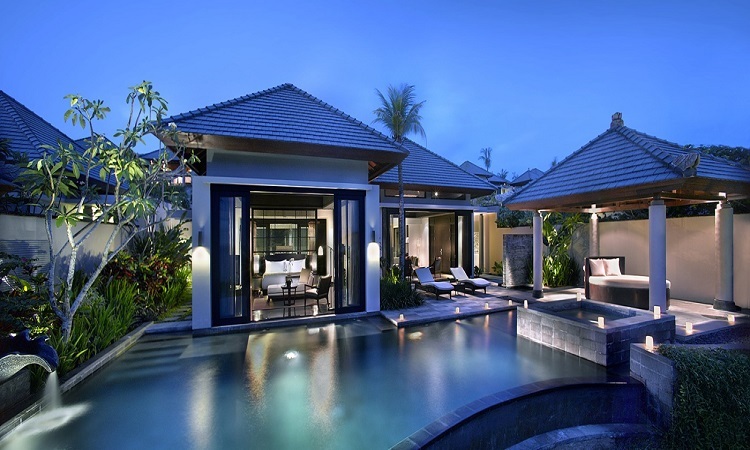 Whether you want to immerse your feet in the smooth sand beaches, take a romantic walk along the silvery shoreline, or just laze around in the spacious private villas, Resort W Bali offers every modern amenity that caters to all your whims and fancies.